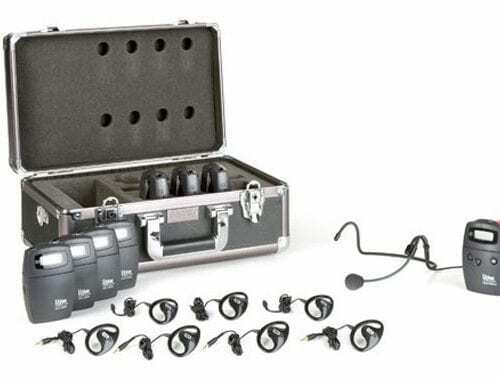 Available for purchase only (no rental packages), the Listen LS series offers portable communication from Listen Technologies. With options for both basic one-way (ListenPortable72) or advanced two-way (ListenTALK) communication, Listen Technologies offers the reliability and flexibility you need. The Listen series system works well both indoors and out and is appropriate for a wide range of tour applications. It can also be used for employee training, language translation and for auditory assistance in houses of worship or performance venues. Sanitize ear speakers with alcohol spray or distribute new, inexpensive headphones for every user.